There is logic and then there is belief, what you believe in, not necessarily, is always logical and logic doesn't accompany belief perpetually. In the ever growing and a constant battle between logic and the belief, at individual levels, the stronger one always takes over the other, no matter which of the two are indeed correct. When you combine multiple facets of human behavior that revolves around logic and belief, in their purest and unadulterated form, they resonate to the visuals and it doesn't matter how true or the fictional the visuals are. Both, logic and belief have the ability to convince, conspire, improve, transform and what not! I recently read Finder, Keepers a book by author Sapan Saxena which is about sacred cynicism bundled with suspense, thrill and exploitation of human nature and behavioral instincts. The story is about people, many people, many emotions and multi-fold hesitation and acceptance. It is about the attack on a belief and the resistance is logic, whoever said one dies only in the battlefield should rethink on the belief because logic spares no one. "Finders, Keepers. Losers, Weepers" this is how the blurb summarizes the entire story, which is true in the end. 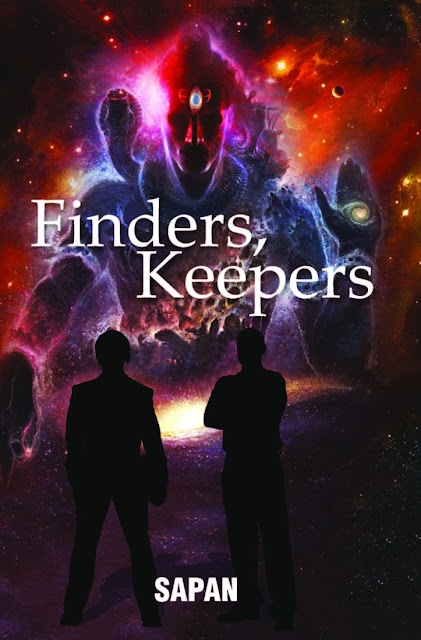 The cover of the book Finder, Keepers is intriguing and the story starts right here, which depicts Lord Shiva and silhouettes of two men with profound precision. 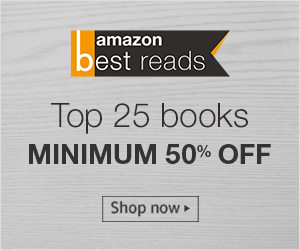 The time that you will spend reading around 650 pages of the story is significantly worth, and if by any chance the Indian mythology interests you, then you are on a joyride. There is an amalgamation of mystery, thriller, suspense and knowledge, but it depends, if you believe in things or seek logical explanation. The characters of the book are developed interestingly, even if you don't relate to them still you can find some connect as you read more about them and then they all become a part of your belief or logic, whatever you prefer. Though the book, Finder, Keepers, has mythological references, but it's not like a fact book that you can go to the war with. It is mythology, thriller, crime and suspense interestingly intertwined and associated with each other resulting in a splendid story. The narration and the build up of the story is equally good and with every single chapter, you will find yourself getting hooked on to the story. You may find it a bit lengthier than the usual writings of an Indian author, so don't drop the book already. Finder, Keepers, throughout, is like a journey that questions you, puzzles you and makes you think and then rethink. It is also about the approach that one should take in life, curative or adaptive, believing or logical, goodness or greatness. Also, I haven't written much about the story because I want you all to read it and explore the rich and varied 108 chapters for yourself! I would recommend this book to anyone interested in reading fiction, or something around the Indian Mythology.